This 6 cell saddle pack is built with our 5000mah cells. Great cells for racers or backyard bashers! 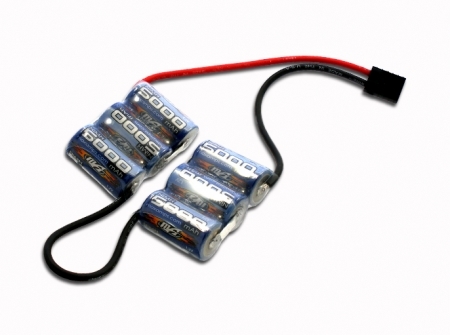 Perfect lipo battery pack for Associated RC10 B44. Hot Bodies by HPI Cyclone D4. Tamiya TRF501X.